1 What is tapestry yarn? 2 When is tapestry yarn used for needlepoint? 3 Can I use multiple strands together? 4 Is tapestry yarn expensive? 5 How is it to work with? Tapestry yarn is a soft tightly twisted 4-ply needlepoint thread where the plies are not intended to be separated. Tapestry yarn is available both in wool and in acrylic. For most designs, you only need to use one strand of tapestry yarn, which means you don’t need to engage in any stripping of the thread or use a laying tool to make it lie flat. Tapestry yarn looks a bit similar to tightly woven worsted weight yarn for knitting, but is intended for needlepoint and therefore have short, strong fibres that will allow it to retain its shape even when a myriad of stitches are worked to complete a large project. Unlike a typical knitting yarn, it will no stretch. 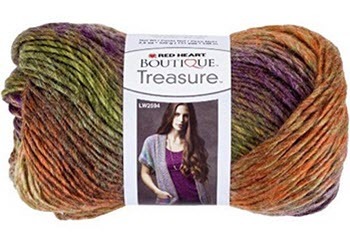 Tapestry wool yarn has a matte finish and a soft sheen. 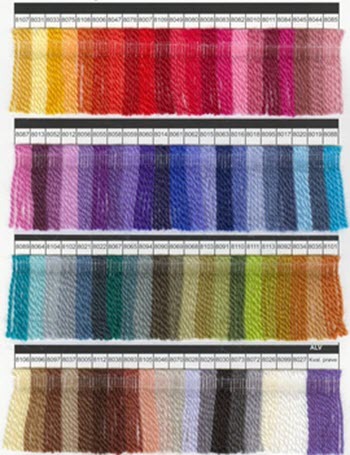 Well-assorted needlepoint shops online have approximately 400 different colours and hues available. Finding tapestry yarn in offline shops can be more difficult; some needlepoint and embroidery shops do not have any at all, or sell only a very limited selection of colours. When is tapestry yarn used for needlepoint? The most common use for tapestry yarn is as one strand yarn for large mesh canvases, typically #10 – #14 canvases. Tapestry yarn is great for couching on top of previously worked areas. The durable, smooth and even finish has made tapestry a favourite for upholstery pieces that are intended to be used a lot. Historically, tapestry yarn worked in Tent Stitches on #10 or #12 mono needlepoint canvases were considered ideal for pre-worked needlepoint designs, such as needlepoint rugs and needlepoint chair covers, since tapestry yarn has a reputation for being very durable. Can I use multiple strands together? Yes, you can, but you might need to get an extra-large tapestry needle. Generally speaking, tapestry yarn is less expensive than Persian wool yarn for needlepoint, although it is also less thick. How is it to work with? Easy and hassle-free. The firmness of the twist makes it easy to establish a consistent stitching rhythm.